Pi is not as constant as you think! Fig. 1. 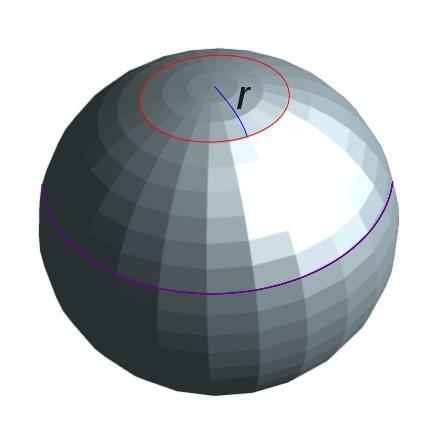 3D sphere with circles on its surface. π'=L/D=π sin (α/2)/(α/2)=π sin (r/R)/(r/R). Fig. 2. 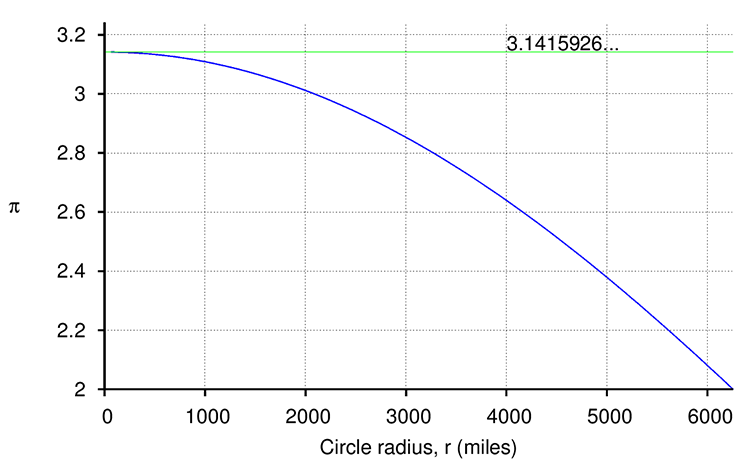 Plot of π vs. circle radius on Earth. 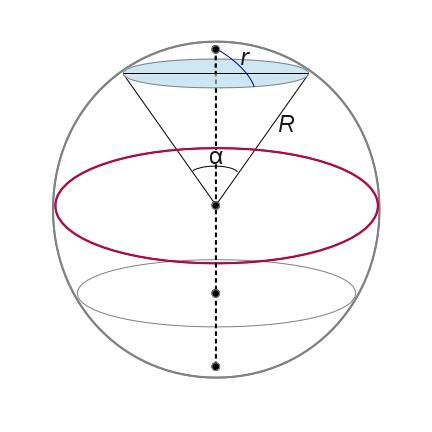 So, for α changing from 0 to π (assuming that from π to 2π the picture would be symmetrical), π' would be changing from π to 2 in the limiting case of the circle on the equator (Fig. 2). L' - L=2π(R+h) - 2πR = 2πh=6.28 feet.